2015 will be the thirtieth anniversary of the founding of independent publishing house Michael Oâ€™Mara Books. We have established a reputation for major autobiographies and biographies including Sir Roger Mooreâ€™s bestselling Last Man Standing: Tales from Tinseltown and My Word is My Bond, Anything Goes by John Barrowman, All Balls and Glitter and Tales from the Dance Floor by Craig Revel Horwood, and Andrew Mortonâ€™s Diana: Her True Story, the second highest-selling book of the 1990s. Our list also includes high-profile non-celebrity memoirs such as the Sunday Times bestseller Jessi-Cat: The Cat That Unlocked a Boyâ€™s Heart, Tsunami Kids: Our Journey from Survival to Success by Rob and Paul Forkan, the founders of Gandys flip flops, and the moving My Sonâ€™s Not Rainman by John Williams. Our list also includes fascinating history titles such as Andrew Mortonâ€™s 17 Carnations: The Windsors, The Nazis and the Cover-up and Lucie Aubrac: The French Resistance Heroine Who Defied the Gestapo. Michael Oâ€™Mara is well known for publishing quirky non-fiction such as An Unkindness of Ravens: A Book of Collective Nouns and On This Day In History. The nostalgic series started by I Before E (Except After C) now encompasses titles including the Sunday Times bestsellers I Used To Know That and My Grammar and I. Well over a million books have been sold across the series, which also includes titles for children such as Thirty Days Has September. The new paperback editions for these top-selling titles give readers the chance to build up an attractive reference library on subjects including philosophy, history, language, classics, poetry and much more. Since publishing The Creative Colouring Book for Grown-ups in 2012 we have led the way in the trend for adult colouring books. Our range has been discussed on BBC Radio 4 and BBC1â€²s The One Show and covered across the media, and over 340,000 copies have been sold to date. The Creative Therapy Colouring Book was a Sunday Times bestseller, and we continue to publish in this area with new themed titles such as The Typography Colouring Book and innovative new formats from sophisticated bindings to postcards. 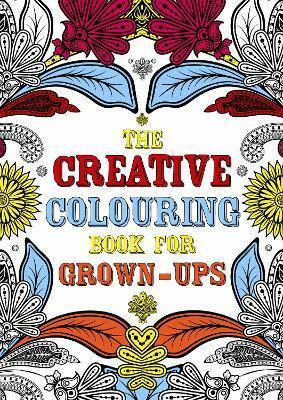 Our grown-up colouring books have been published all over the world. Our tradition of humour publishing encompasses much-loved, hilarious books including The Timewaster Letters and The Book of Senior Moments. Whereâ€™s the Meerkat? was a Number One Sunday Times Christmas Bestseller, and the multi-award-winning Diary of a Wimpy Vampire series has brought the trials of Nigel, an awkward teenage vampire, to more than twenty countries around the world. Michael Oâ€™Mara has also embraced the pop world, publishing bestselling biographies of stars including Justin Bieber, 5 Seconds of Summer and One Direction, as well as our hugely successful Dress Up One Direction and Colour In One Direction. Thereâ€™s more pop, along with other fun and fantastic childrenâ€™s books, to be found published under our Buster Books imprint.